Thanks for subscribing to our newsletter. Each month we highlight some of the more interesting activity from the site. Please make sure to recommend your site or any site you’ve seen that you think is great. We need your submissions, it’s what makes us tick. We’re also on twitter (@unmatchedstyle), so if you tweet out a really good link use the hashtag #ums and we’ll link it up. Dan Spencer and Jason Gaylor at Designfruit.com (@designfruit) have offered up a set of 38 royalty free Photoshop brushes for the unmatchedstyle community to use. Our most recent design panel with Jason Beaird (@jasongraphix) and Molly Oakley (@mollyoakley), we talk about a few things, from current sites to design review processes within their companies to new and interesting techniques they are incorporating into their work. Make sure and check out both parts 1 and 2. We love Trent Walton’s simple and elegant blog. Be sure to check out the screen cast review. Lots of neat little details in this deceptively simple design. Check out the screen cast too. Simon Collison’s new site is beautiful, funny and full of nice details. Great for inspiration. The illustrations on this site are wonderful and the hand-drawn type is a really nice touch. 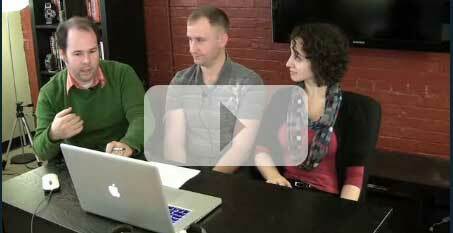 Jason Beaird joins us for a screen cast review of the new(ish) Neutron Creations site. 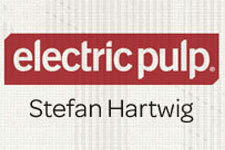 Re-launch of Electric Pulp’s website. Nice textures and a solid layout that focuses on the great work they do. These are links to other content we’ve sent out over the past month. Follow us on twitter (@unmatchedstyle) if you find these links useful. Remember if you tweet out a really good link use the hashtag #ums, we’ll link it up.